FROM £16.15 per case. Industrial Paper Roll x 2 . Blue, 2 ply 28cm x 360m 1000 sheets per roll. 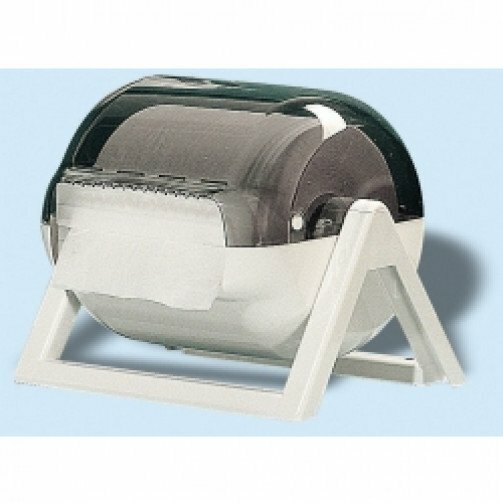 Floorstand giant paper roll dispenser, wall mounted plastic white. 440 x 340 x 330mm (H x W x D). Ideal for engineering areas and factory environments.